ALL INCLUSIVE & LIGHT HOUSEKEEPING ADVENTURE PACKAGES FOR EVERY BUDGET! 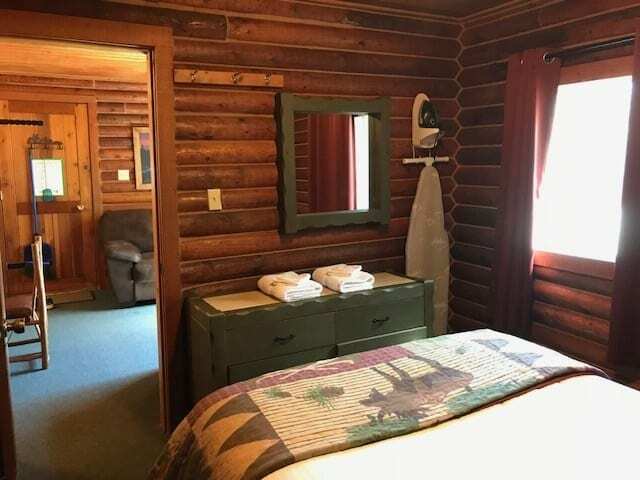 All of the packages that Bakers Narrows Lodge offers can be customized to suit your wishes. View each of the packages that we offer below, but feel free to contact us to personally customize your adventure. All package prices shown are per person and for shared double occupancy unless otherwise noted. Experience World Class Fishing like never before at Bakers Narrows Lodge. If you are an Adventure seeker who loves to fish then this package is for you! 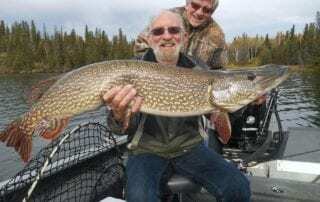 Explore numerous lakes and a variety of fish species all in the same trip…Here is an overview of the 3 days guided fishing this package includes – 1 day guided remote fly-out lake, 1 day guided backcountry ATV lake and 1 day guided fishing on the main lake. It is not uncommon to catch 300+ fish per day on these lakes. 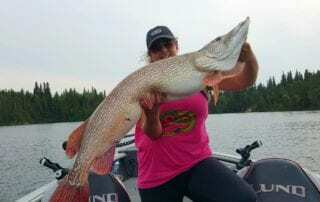 There were 330 pike caught on one of the fly-out lakes in one day and over 350 walleye in one day on another lake. Come and experience unlimited quality Manitoba fishing on our abundance of remote day fly-in lakes. Whether your goal is a bountiful catch of Walleye, or fighting Pike in cabbage beds in remote bays, or the excitement of flying into a pristine wilderness location to enjoy the scenery, the wildlife and the congenial company, you will not be disappointed. Many of our guests attest to the fact that this has been the highlight of their trip and they have truly enjoyed “the ultimate fishing experience” on their remote excursion days. Our daily fishing trips to remote lakes are an adventure that will take you where few have ever gone before. Here is an overview of the day. We depart after breakfast and arrive back at the lodge in time for dinner. Upon landing your boat, motor and gas will be ready for a full day’s fishing. Around noon, freshly caught shore lunch is prepared by your guide allowing you to taste your morning catch accompanied with homemade pan fried potatoes, baked beans and something sweet for dessert. These remote excursion fishing trips have much to offer and are truly an experience you do not want to miss. They can also be added as an option to any one of our other packages. To add some extra adventure to our already awesome angling opportunities, also available at Bakers Narrows Lodge are numerous drive-to lakes. The boats, motors and your guide will be supplied for you. These great lakes offer superb Northern Pike, Walleye, Smallmouth Bass and Brook and Rainbow Trout. 1 Guided Day on Main Lake Included. 1 Guided Day on Remote Fly-out Lake Included. 1 Guided Day on Remote ATV Backcountry Lake Included. Come and Experience Trophy Fishing for Lake Trout, Northern Pike and Walleye on Legendary Lake Athapapuskow. Within the vast shoreline of Athapap there is 104 square miles of actual water to explore with depths exceeding 220 feet. There are over 575 islands situated amongst these waters as well as hundreds of bays and coves offering no end to the majestic and pristine waters where these big fish live. This package includes one professional guided fishing day on Lake Athapap however many anglers who are interested in hunting for those Trophy fish all trip long will book a guide for the remainder days to ensure they encounter the absolute very best angling experience Lake Athapapuskow has to offer. Come experience exceptional Multi Species Ice Fishing at Bakers Narrows Lodge, Northern Manitoba’s #1 drive to fishing resort located on Magnificent Lake Athapapuskow. 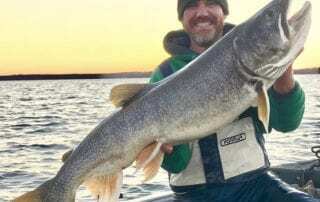 This lake and surrounding Northern lakes offer numerous places to fish for Trophy Lake Trout and Huge Walleye and Monster Northern Pike along with various other species such as Burbot, Rainbow Trout, Brook Trout, White Fish and Perch. We offer World Class Fishing on Lake Athapapuskow but if you want more adventure we also have several other Remote Northern lakes you can access by snowmobile or ATV. There is no telling what you might catch on your line at these remote lakes, just make sure you bring some heavy gear and get ready to smash some Trophy fish through the ice. Pop up ice shacks are most commonly used out on the ice primarily because they are versatile and easy to move around. With so many cool places to fish you want to explore many different spots and even other lakes as well for the ultimate fishing experience. Snowmobiles or track machines are the best for transportation over the ice on the lakes until April when the snow melts and you can get out to your favorite fishing spots with a quad. 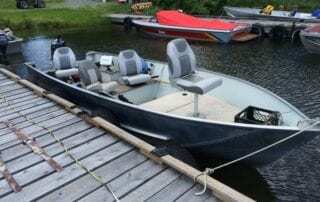 There are several trails connecting various fishing lakes in and around Bakers Narrows Lodge making it easy to access those incredible fishing holes. We offer fishing guide services for the day or your entire trip. It’s not a bad idea to have someone show you around the first day or two but we also have good trail maps so the DIY Fisherman can navigate themselves to these honey holes. Snowmobile rentals are available at Bakers Narrows Lodge as well as ice shacks and fishing gear if required. Check out these cool Deep Freeze Products! Bakers Narrows Lodge is the exclusive Canadian Distributor for Deep Freeze Fishing Products such as the “One Shot” Ice Skimmer and Blue Tipz Transmitters. Had enough of the seemingly never-ending process of scooping the slush out of your ice fishing hole? Tired of wasting valuable time when you could be catching more fish? Bakers Narrows Lodge introduces the One Shot Ice Skimmer—Pro Edition. This time-saving, innovative, and portable ice skimmer is the solution to your problem. Forget those high-priced alternatives. The new ice skimmer from Bakers Narrows Lodge is a superior product, yet more affordable. The interchangeable bottom allows for use on 6”, 8”, and 10” auger holes. Locally made, the durability will speak for itself. Try one today, you won’t be disappointed! The BlueTipz wireless transmitter alerts you on your smartphone when you have a strike on your tip-up. It consumes no power when horizontal, so assuming 2 minutes per strike, the replaceable batteryshould last up to 600 fish The super bright light is great for night fishing and identifying which tipup just alerted. Great performance up to 600 feet range. The transmistter clips to any tipup flag. Download the BlueTipz app to make sure your mobile device is compatible. The app is free and is available on Android and iOS. May be customized for 2 or 3 people. Bed configuration varies, with 4 single beds, 2 double beds, or a double bed and 2 single beds. We also have family cottages with a double bed in one bedroom and 4 bunks in the other bedroom. All have a three-piece bathroom with a shower. The kitchenette has dishes for 6, microwave, two-burner stove top, mini fridge, coffee pot, toaster, and a barbecue on the deck. Posturepedic Mattresses, carpet, drapery, bedding, towels, furnishings. 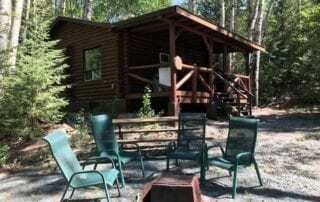 *Family Cottage Available (Sleeps 6) – *$239 max/night with kids 6 and under. Our fishing guides at Bakers Narrows Lodge are experienced and have been fishing these waters for years. Take advantage of their vast experience and knowledge getting you to the secluded places where these magnificent fish live and sharing with you the fishing techniques that produce. Our guides cater to the expert or novice fishermen working hard to meet and exceed your expectations. Their main goal is to put you on the fish and provide a memorable trip of a lifetime. Come experience an unforgettable day of fishing in the breath taking scenery of Northern Manitoba. prices are per person. Minimum 2 people per group.